Even though Australia is on the opposite side of the world, thousands of kilometers from Latvia, an active Latvian community remains, and in the larger cities there are a number of options for both children and adults to learn the Latvian language. The language can be learnt by attending a Latvian school, that is held on weekends, or private lessons. Saturday school activities are conducted weekly in Adelaide, Melbourne and Sydney, whilst in Brisbane they are held fortnightly. Beginners, and also those wanting to improve their Latvian, have a variety of options in a number of Australian cities. It is possible to find teachers that are able to present material at a number of different levels. Melbourne: Kārlis Brēmanis, Edīte Atvars, and Laila Grosa. Adelaide – Ilga Vasele and Rasma Celinska. Sydney – Valdis Krādziņš and Gundega Zariņa. Each year in Australia, three Latvian camps are held: Tērvetes Bērnu Nometne (the Latvian Scout and Guide Association camp), Annas Ziedares Vasaras Vidusskola (the Latvian summer high school camp) and 3 x 3 saiets (an intergenerational summer Latvian cultural camp). They are usually held during Australia’s summer holidays, in January. 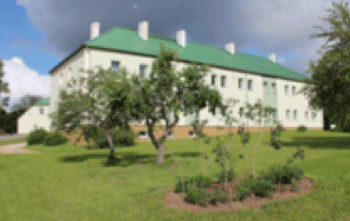 The camps offer a wide variety of learning experiences in a Latvian environment. Families and children travel from all over Australia to attend these camps in the Australian countryside. 2 x 2 – Every 2 years, this camp is aimed at young adults between the ages of 18-32. Katskiļi nometne: New York Christian Church camp. Some summer camps held in Latvia are designed especially for Latvian children born outside of Latvia. These camps are organised by the Latvian Language agency, and also other organisations which may receive funding from the Community Integration Fund (SIF). For further information please write to the Latvian Federation of Australia and New Zealand school branch coordinator Dainas Grosas. It is possible to learn Latvian by correspondence through a number of different schools in Latvia. 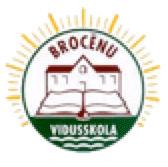 Brocena high school from year 1-9, offers to teach the full Latvian curriculum to children through distance education. Education for Latvian citizens is free.